The holiday season is the perfect time to bust out every piece of glittery, shimmery makeup you own. If you’re me, then that’s quite a bit. But glitter can be really tough to work with, especially if you’re older than 14. A quick and easy way to get a glittery eye is with a glitter liquid liner. I really love Urban Decay’s Heavy Metal liners and NYX Liquid Crystal liner. Gold is a great color to start with, as it goes with everything and looks a little more classy. What I did was a neutral, matte eyeshadow with a black cat eye liner. Then, I take my favorite gold glitter liner and simply traced a line on top of the black. 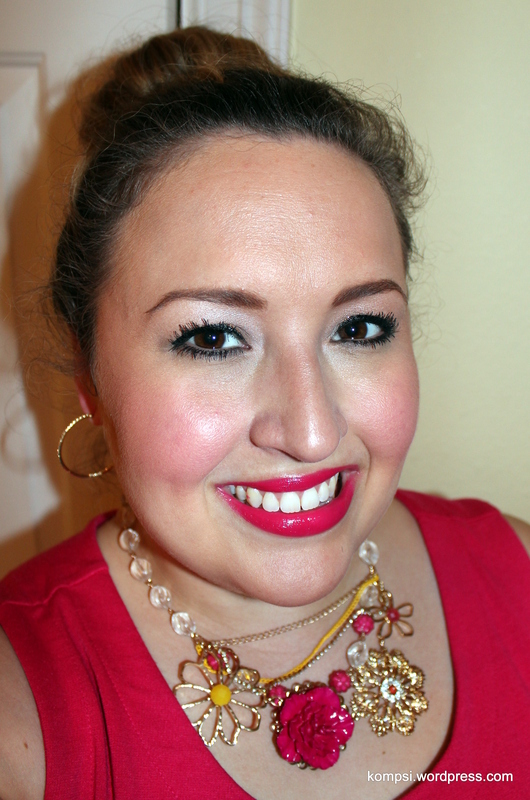 Add a bright lipstick in your favorite color, and you’ve got an easy holiday look! There you have it! So easy!